The team at BestDebtCompanys.com (BDC) recently released a new survey about the different types of services Tax Relief companies provides. This survey was created to get a better idea of what types of services people were looking for when it came to their tax debt. The BDC team believes the more we can find out about consumers, the better they will be able to service their needs. Respondents overwhelmingly chose “None of these with 61.0 percent.” Of that 61.0 percent, 73.1 percent of respondents were over 65 years of age. 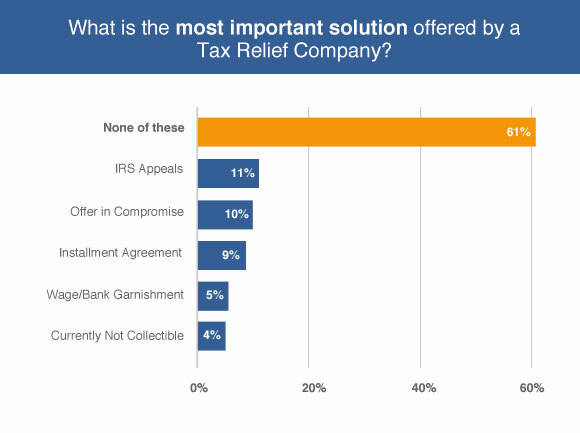 It is interesting that the majority of respondents did not think any of the other choices were the most important solutions for tax relief companies. This is especially interesting because the BDC team did not expect this kind of response at all. One of the most common services people look for in a tax relief company is their ability to provide an offer in compromise as a solution; however, an offer in compromise is not always a viable solution for those facing tax debt. In fact many tax relief companies have an offer in compromise as a possible solutions, but never guarantee to their clients that they can provide this type of solution. 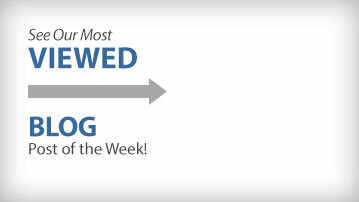 Any tax relief company that guarantees an offer in compromise as a solution is a company you should stay away from. Even with all this prior knowledge about an offer in compromise, the BDC team still believed that the majority of respondents would choose it because of its popularity. In conclusion, the results of this survey lead the BDC team to believe that consumers don’t have a full understanding of the services tax relief companies provide clients. 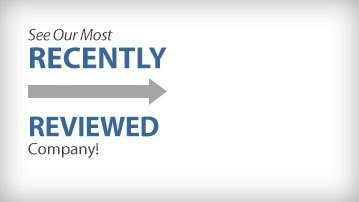 Tax relief companies don’t help you file your taxes; they help you get out of tax debt and out from the scrutiny of the IRS. While they provide many types of services, including an offer in compromise, you are best to go with a company that presents all options to you. If you are experiencing any of these signs, seek out a tax debt relief company.